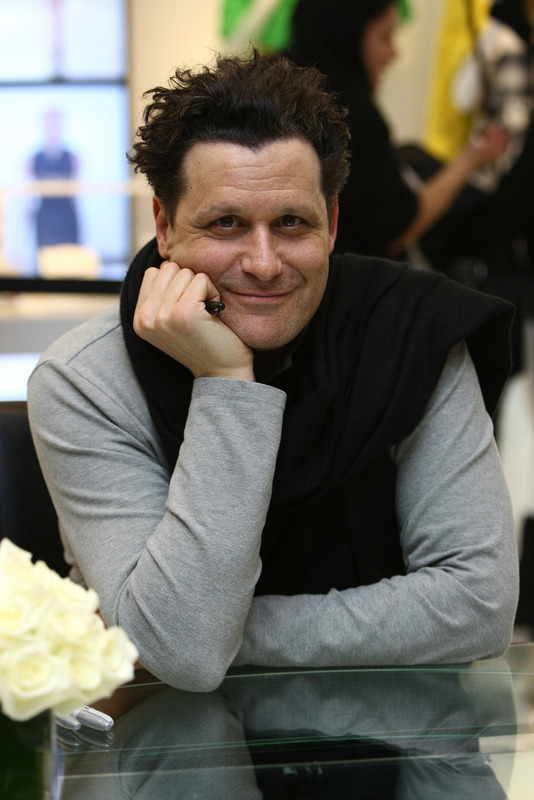 Isaac Mizrahi: From Following Mom Into The Fitting Room, To Fashion Fame Growing up in an Orthodox Jewish community in Brooklyn, Mizrahi says he stood out like "a chubby, gay thumb." 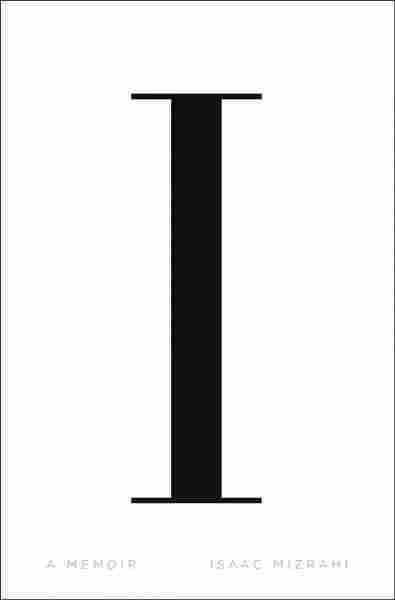 He's written about his unlikely path into the fashion industry in his new memoir, I.M. Designer Isaac Mizrahi pays tribute to the models who wore his spring/summer fashion collection at a show in New York in November 1995. He chronicles his unlikely path into the fashion industry in his new memoir, I.M. Fashion designer Isaac Mizrahi opens his new memoir, I.M., in the toy aisle at the Avenue U Variety Store. It's the mid-1960s, and he desperately wants a deluxe Barbie set — which comes with a doll and three outfits. Unfortunately for 5-year-old Mizrahi, a Barbie was "the exact thing that would label a kid in those days as someone who was a freak," he says. Growing up in a Syrian, Orthodox Jewish community in Brooklyn, Mizrahi says he stood out like "a chubby, gay thumb." He did not get a deluxe Barbie that day. As a consolation prize, Mizrahi received a G.I. Joe for Hanukkah, but he hated the action figure's "dreary camouflage print." Around his sixth birthday, Mizrahi's mother finally bought him the coveted doll (though she consented to the "starter" Barbie, not the deluxe set). "She kind of looked the other way — I really credit her with that," Mizrahi says. He tells NPR about the education he got in the women's fitting room at Loehmann's, and what it was like to finally come out to his mother — "I don't think she was as distraught or as surprised as she claimed to be," he says. It was kind of like this weird sort of social disease or something that didn't even have a name ... like they couldn't bring themselves to even think of the idea of being gay. Of course, there were slang words — terrible slang words — but ... when the bullies said those words, I don't even think they equated them with the actual idea of that sexuality. It was just so outside the realm of reality in those days, especially in that community. She spoke to me as one would as an adult. I always noted that my friends ... they loved my mom because she never spoke down to them as kids. She always spoke to everyone in this kind of equal way. I always thought of her as the most incredibly fascinating person in the world because she brought me into all of these processes that — perhaps occasionally weren't exactly appropriate for someone my age — but in that relationship it was so, so, so nourishing. Mizrahi has become a familiar face in fashion, appearing on QVC and Project Runway All Stars. He's pictured above at the Liz Claiborne New York Spring fashion show in March 2009. I did get this ... sense of the psychology of the way women think about clothes — also what they look like in their undress. ... And so it was this crazy, crazy glimpse into that world. ... It was this big, communal dressing room, and people grabbed each other's clothes and it was quite competitive. And I noticed some pretty strong psychological ties between women's underclothes, and their clothes, and who they were. I somehow convinced my parents that I should be permitted to go to that school and I auditioned and I got in. At that time, it was not the easiest to thing to get to the city from Brooklyn — it was literally an hour each way on the subway — and it was arduous. ... For the first year I felt, like, nothing but culture shock and guilt. But once I was out of that sort of very, very repressive community, I never looked back. I had this tiny collection with a friend of mine ... We made clothes and sold them to boutiques in New York City. I had this small atelier in my basement where I made sketches and sometimes I made first prototypes, and I did a lot of sewing down there. At some point I just got scared. ... I was so sure I was going to go into show business until I realized that all my classmates were pretty, and thin, and tall and easily castable. I was this crazy anomaly. I was a fat kid — which I will never, ever outgrow the feeling of. At that point, I decided to kind of try my hand at something which I perceived — I mean this is a joke — but I perceived fashion as a less treacherous field than show business. ... It wasn't about me, it was about the clothes I might think of. ... There's so much more to hide behind. I was out to most of my friends, and even my mom and my sisters. He didn't know and I was sort of guarding the secret a little bit from him. I just couldn't bring myself to tell him, you know? ... The minute he passed, I felt — as much as I would miss him, as much as I loved him — I felt liberated. I could not have fulfilled my agenda as an adult at all — my creative agenda, or my psychosexual agenda — if my father was with us. I would be guarding that still to this day. On how his mother, now 91, taught him "learned optimism"
The other day she said this amazing thing — it was so inspiring. She said, "Oh, all this stuff about old age ... losing your sight, and losing your hearing, and you can't walk, and you have a walker, and you can't eat anything." She said, "I recommend it. I recommend it." And I was like, "What?"... She said, "... As opposed to not being here, it's fine. I recommend all of those things." ... There were moments that were very difficult for her in the past 10 years ... and she still recommends it, you know? And so as I get older I learn more and more optimism.